At present we are working on achieving Active School Flag status for our school. The Active School Flag is a Department of Education and Skills initiative which recognises schools that strive to achieve a physically active school community by awarding them the Active School Flag. Once awarded the flag remains valid for a period of 3 years. To achieve the flag we will work on new innovative exciting ways to encourage all pupils to become more active. We will endeavour to get pupils more active throughout the day as well as providing opportunities to experience a wide variety of sports as well as maintaining sports more traditional to our school. We hope you will encourage all of your friends and family to become more active and join in the great fun we will have in Scoil Muire Banríon by making our school the most active school in Offaly...or maybe even in the country! We will post information and photos of activities undertaken in this section. One of this year’s most eagerly awaited events took place from April 27th to May 1st as we took part in our first Active Week. 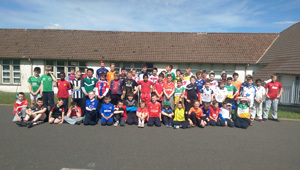 Every day our entire school community enjoyed a variety of exercise based events and the week culminated with a Sports Marathon and Jersey Day on Friday May 1st. 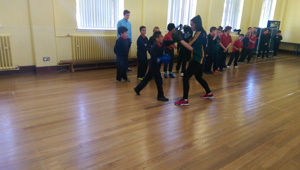 During the week our students took part in swimming, boxing, GAA, fitness classes, fun obstacle relays, orienteering and many more activities designed to help keep them fit and healthy and hopefully to become aware of the benefits of regular exercise in their daily lives. 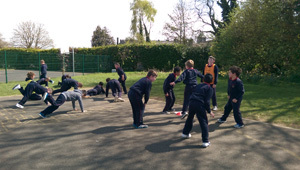 During our sports marathon the boys were able to enjoy PE sessions in Gaelic football, tag rugby, basketball, hockey, athletics, Olympic handball, soccer and many more events. 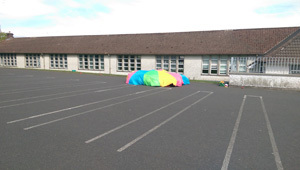 This entire undertaking is part of our aim to be awarded an Active Flag from The Department of Education and Skills which would recognise that our school strives to achieve a physical educated and physically active school. A special mention must go to Ms. Flaherty who put in hours of hard work on this project and its success is a testament to her dedication to creating a fit and healthy Edenderry BNS. 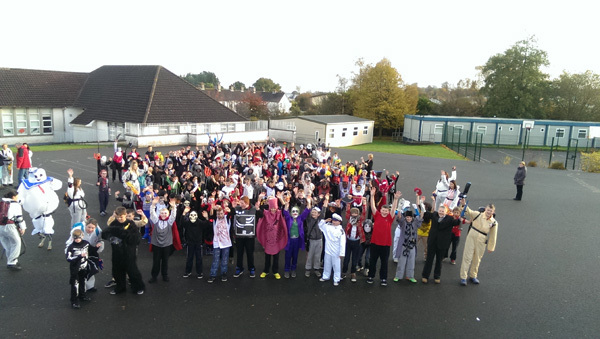 On Friday, 24th October, all 200 pupils and the teachers in Edenderry Boys National School came together in the school yard and performed a dance routine to ‘Ghostbusters’ in fancy dress. This was our official launch for our ‘Active Schools Flag.’ To view the video of our dance on YouTube please click here. We endeavour to get pupils more active throughout the school day by incorporating physical activity in all curricular areas. 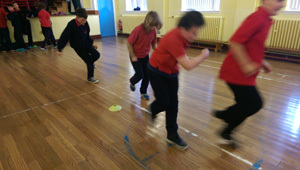 During Maths Week this year, all our pupils got active and participated in a maths trail. This involved our pupils taking part in a maths treasure hunt solving mathematical problems in various locations throughout the school, for example the yard, school hall, corridors, and computer room. As part of our drive towards achieving our active school we have organized a number of lunchtime activities aimed at getting our pupils more active. Our lunchtime badminton ladder for senior classes is currently up and running every lunchtime. 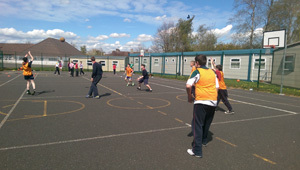 Our 6th class organise games during lunchtime for our junior classes on Tuesdays. So far they have been having great fun playing a variety of playground games including duck, duck goose, stuck in the mud, bulldog, prison ball and many more. We held a competition where all students had the opportunity to write an Active School slogan for our school. The boys came up with numerous encouraging and inspiring slogans to aid us in our drive towards achieving our Active School flag. It was very difficult to pick just one slogan, as the standard was really high. Well done to everyone who took part. You will soon find out its really fun. Will get you fit in the right way. 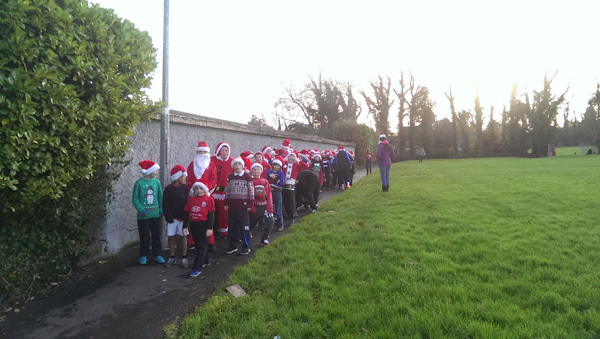 On Friday 19th December, all of our pupils took part in a Santa Dash around Castleview and the School Lane. The boys really got into the spirit, and wore their festive attire. Great fun was had by all. 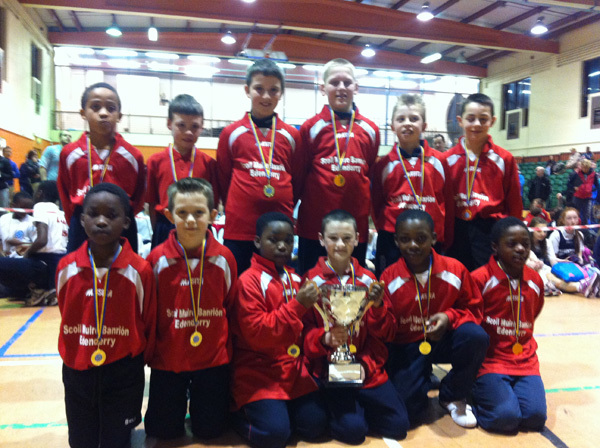 Our indoor hurling panel took part in the annual 5th/6th class indoor hurling blitz in February this year. They reached the final on the day but unfortunately Clara proved to be a bridge too far in the final as they took the spoils on a 4-1 scoreline. However our boys were absolutely brilliant from start to finish and once again showed that there are lots of young hurlers in Edenderry. 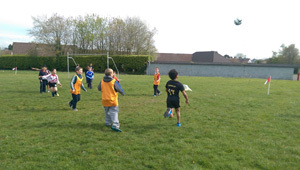 Scoil Muire Banríon has had great success on the soccer fields in the past few years. 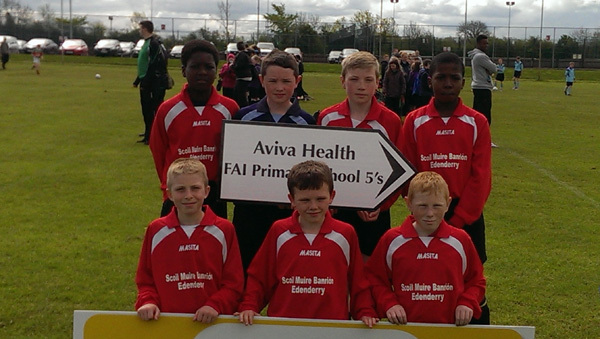 Our 5th /6th class team won the Offaly FAI 5a side tournament for the third time in four years this year. The team went on to represent Offaly in the Mid Leinster Finals held in Portlaoise and also won this. They then travelled to Navan where they finished runners up in the Leinster Final. We have had tremendous success in Athletics over the past couple of years. 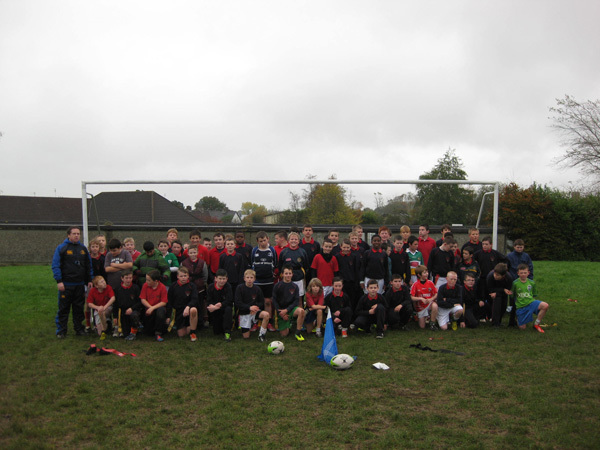 The 2010-2011 school year proved to be a momentous one in the Athletic history of Edenderry BNS. 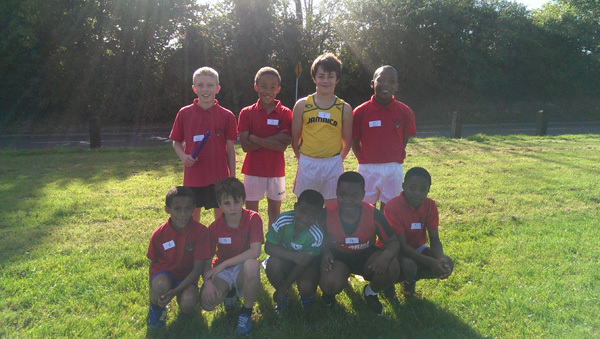 Having won the Offaly heats in Tullamore, the boys of fourth class went to Athlone I.T to take part in the National Primary Schools Athletic Championships and proceeded to claim the prestigious trophy. They represented their county and were by far the most accomplished team at the event and deservedly took home the National title. Following on from this success 2011-2012 was going to be a hard act to follow but the boys travelled to Tullamore to the Offaly heats in the hope of retaining their Offaly title. 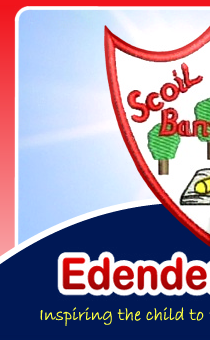 In a competition that spanned a week of activities incorporating a huge amount of schools from around the county Edenderry BNS once again proved too strong for all their fellow competitors and retained their title in the 3rd and 4th class category and won for the first time the 5th and 6th class category. 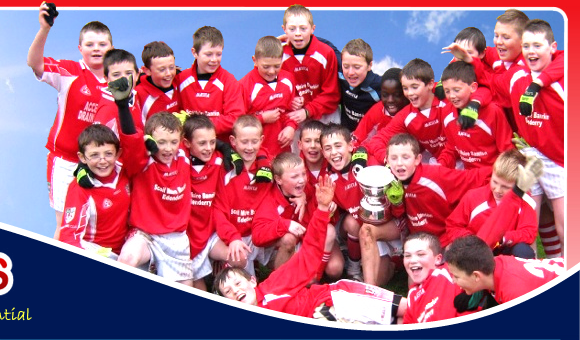 The boys then moved on to the National Championships in Athlone in the new year and our 5th and 6th class team won the national title while our 3rd and 4th class team were runners up in their age group. 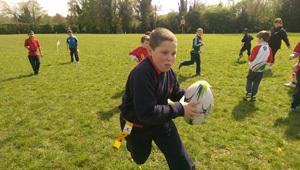 Our students are provided the opportunity to take part in tag rugby coaching sessions in conjunction with Edenderry Rugby Club and Leinster Rugby.